Staying true to Chef Tetsuya’s philosophy of showcasing natural and seasonal flavours with the finest ingredients sourced from around the world, the dishes at The Bar at Waku Ghin are designed to be light on the palate with well-balanced flavours. An example of the simple yet sophisticated offerings, the Tasmanian ocean trout is gently torched and doused with a savoury and citrusy dressing. Chef Tetsuya has included his personal favourites in the menu, such as the Sea Urchin and Salmon Roe Set on Rice (S$38), and Toasted Parma Ham and Black Truffle Sandwich (S$26). Few comforts can rival that of a good grilled cheese. 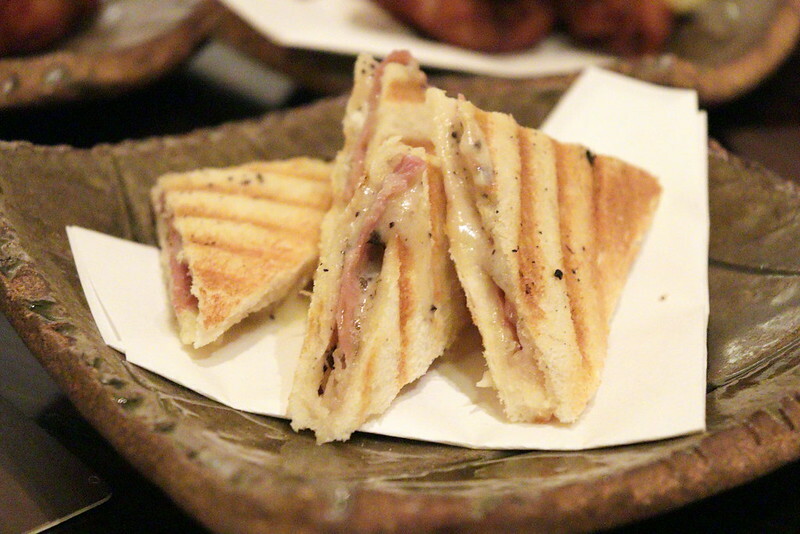 This one does not disappoint; the flavours of Parma ham, black truffle and melted cheese set each other off so well in this grilled sandwich. Next time I come, I'd love to try the Sea Urchin and Salmon Roe Set on Rice: creamy Murasaki Uni (sea urchin) from Hokkaido served with briny and sweet salmon roe on a bed of warm Japanese rice with pickled ginger and freshly grated wasabi from Shizuoka. Ah, my favourite here. Richly marinated grilled wagyu atop perfectly cooked pearls of rice, this is the best yakiniku bowl I have had, hands-down. Granted it looks like a small bowl, but it's packed with so much satisfaction. 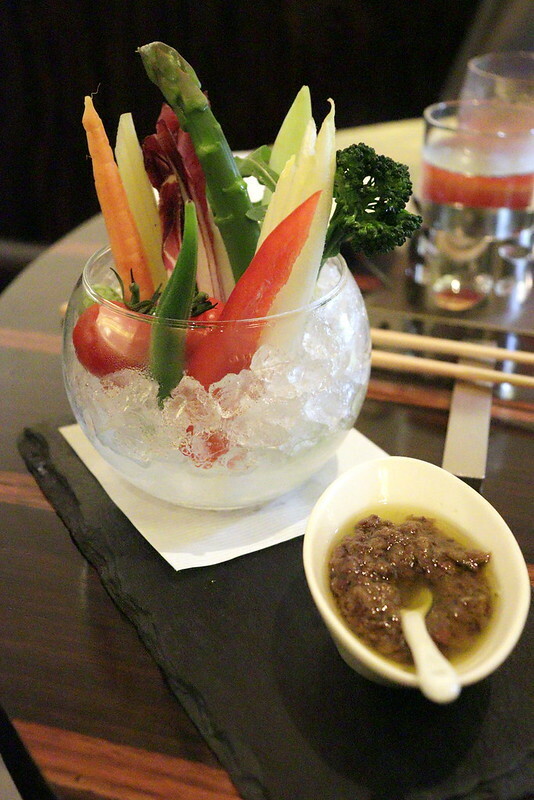 This refreshing palate cleanser features fresh seasonal vegetables such as wild asparagus, special tiny tomatoes and sweet chillies from boutique farms in Shizuoka, served with a warm dipping sauce made with anchovies, garlic, butter and olive oil. 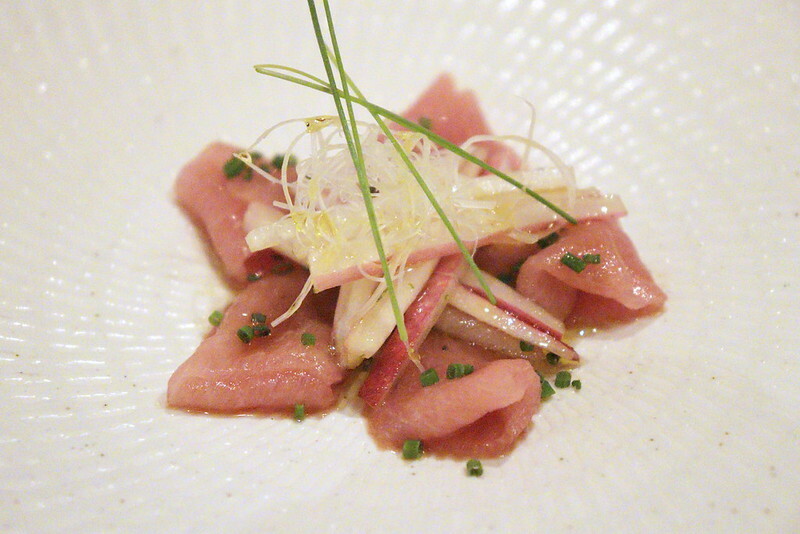 Many of the dishes feature seasonal vegetables and fresh produce from chef Tetsuya’s hometown in Shizuoka, Japan. 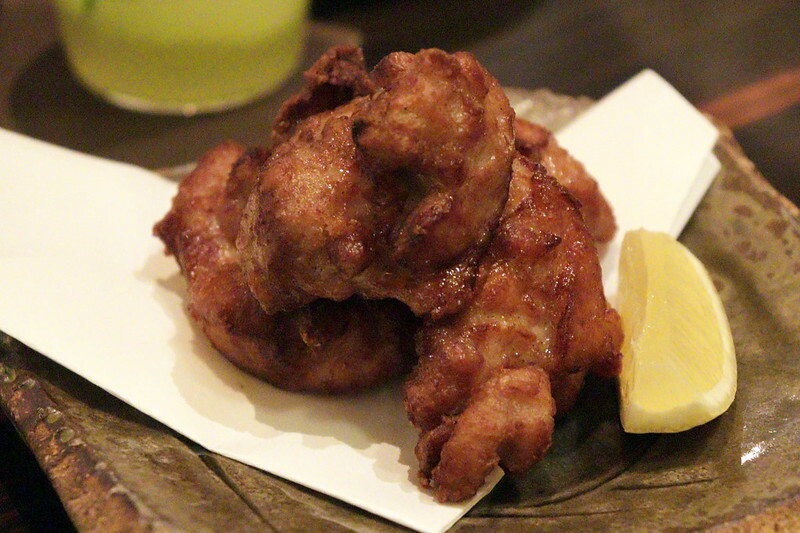 Fried chicken or tori karaage sounds like a crowd pleaser and a surefire winner with beer or drinks. But I felt this was not the best dish here; while the meat was juicy, the exterior was just a little too soggy. This is an absolute steal. 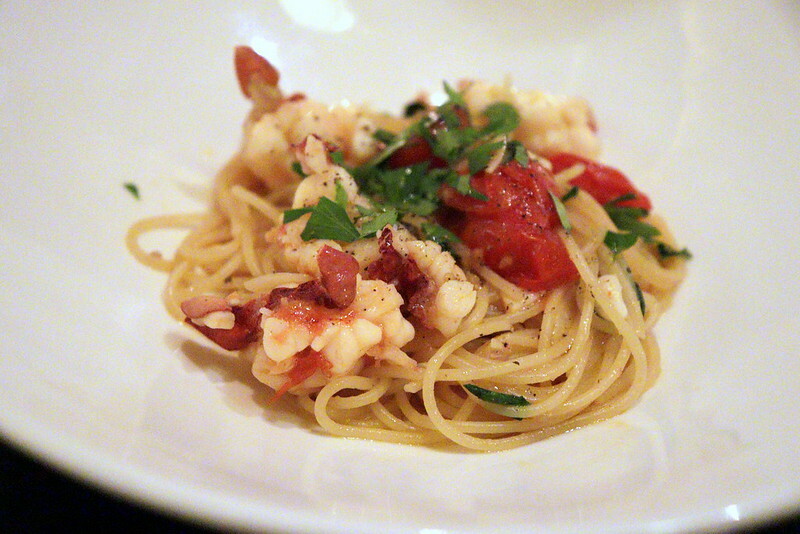 Perfectly seasoned pasta tossed with a decent amount of lobster meat. It's not a main course serving but it does satisfy as a quick bite. It would be hard to share this. 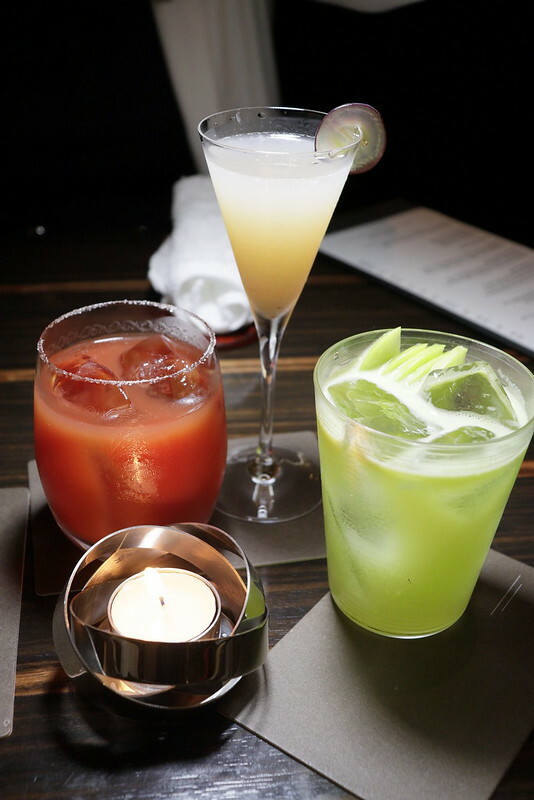 There are over 85 handcrafted cocktails that feature the art of Japanese-style cocktail-making but if you feel overwhelmed, feel free to ask the bartender for a bespoke recommendation. The bar is also stocked with premium whiskies from Japan, America, Canada, Ireland and Australia, and a well-curated selection of sake including the exclusive Waku Ghin Isojiman Junmai Daiginjo M label produced for Chef Tetsuya. 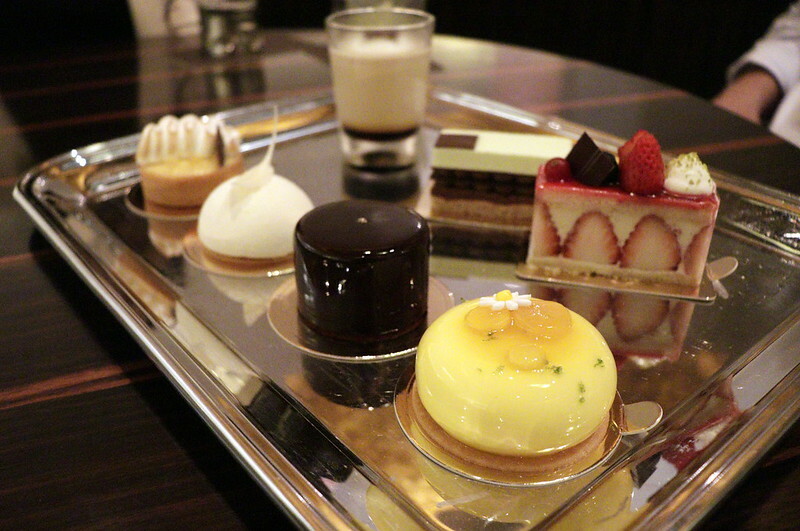 The menu also includes a selection of oysters, caviar, pasta and cheeses as well as a daily selection of exquisite petit cakes from Patisserie Platine, chef Tetsuya’s pastry offshoot. We tried them all - each of them an exquisitely crafted dessert - but my favourite was the unassuming-looking salted caramel shooter in the background. Dishes start from S$20++ and oysters from S$6++, while cocktails are priced from S$20++ onwards. 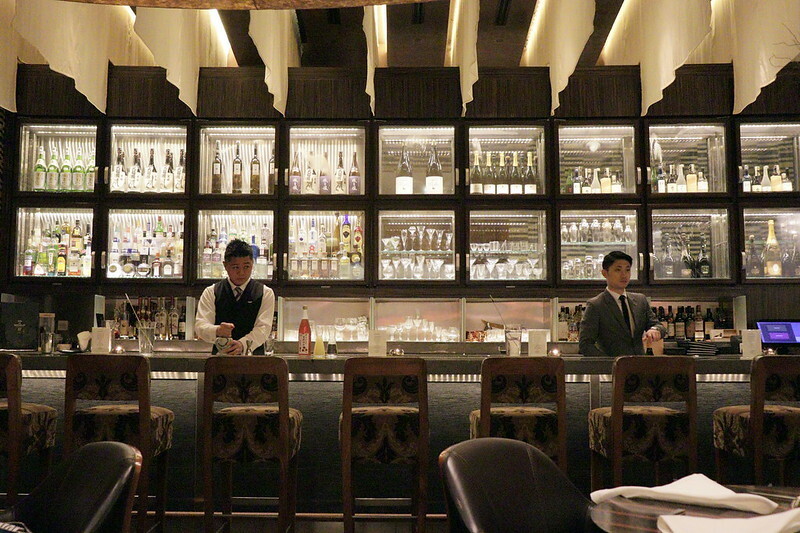 The Bar at Waku Ghin opens daily from 6pm till late with the last order at 11pm. Thanks to Waku Ghin and Marina Bay Sands for the invitation.